Tyler is A 7 year old lefty. He loves playing first base. 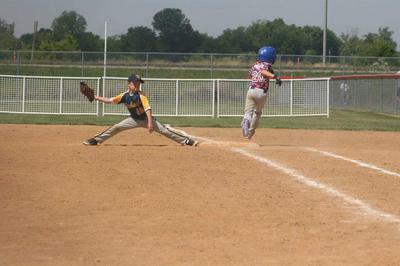 I wanted to share these pictures because you just don't see many stretch plays this young. 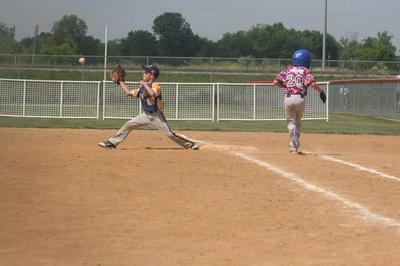 This kid hits, fields and runs the bases like a boss. I hope Tyler takes his abilities and adds a great love for the game (likes to watch TV games, likes to play whiffle ball, has a favorite MLB team and player, loves to practice, watches local minor league baseball, signs up for a baseball camp). Keep it up Tyler! Join in and write your own page! It's easy to do. How? 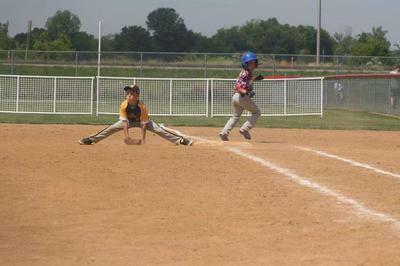 Simply click here to return to Submit Your Youth Baseball tip article.